If you are going to play in the game, you need to know the rules. This is also true when it comes to flipping discount homes in the real estate market. There are some rules to play by. This list of do's and don'ts will help to create a smoother transaction, build strong business relationships and reduce your risk. There are two categories of house flipping: wholesaling and rehabbing. Each method has a different set of operating guidelines to follow. Wholesaling is when a wholesaler finds a cheap home for sale and puts it under contract and then sells it to another buyer for more than the original contract price either through contract assignment or a double close. Know the laws. Different states have different restrictions on assigning contracts and double closes. Make sure you understand your local guidelines first. Create an escape clause. If you buyer falls through, a good escape clause can release you from the purchase contract. Making an offer "subject to a satisfactory inspection" or "subject to partner's approval" can help. Bite off more than you can chew. Putting more properties under contract than you have buyers is a recipe for disaster. Let the seller chose the title company. Not all title companies work with double closings or assignments. Find a title or escrow company that will work with you and stick with them. 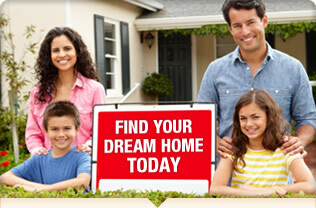 Rehabbing is the most widely known method of flipping houses. An investor buys a bargain house, fixes it up and then flips it at market value. Stick to the formula. Experienced investors use a formula to ensure profitability. You do not need to re-invent the wheel. Here is the formula: (After Repair Value x 70%) - Rehab Costs = Wholesale Price. The formula will always work, if followed. Know your buyers. Before you begin renovation, you must know what buyers are looking for, what they want and how much they will pay for it. Focus your remodeling on what the buyer likes, not on your personal preferences. Have multiple exit strategies. A real estate market can change overnight. Having more than one way to sell your investment will help reduce your risk. Are you prepared to liquidate to another wholesaler, sell on a land contract, do a lease option or keep the property in your portfolio as a rental? Remember location, location, location. Choosing house to flip in high demand areas, though typically at a higher price, will create a quicker sale and demand the best market value. Change your ARV. The ARV (After Repair Value) is the market value of the property after it has been remodeled. Have an experienced real estate agent calculate this for you. You need an honest and realistic price, not a dreamy pie-in-the-sky value. Once you have this price, stick to it like glue. Do not add a little here or subtract a little there just to make the numbers "work." Over build. The easiest way to kill your profit is to spend more on rehabbing that you budgeted. Create systems and cost guidelines and do not deviate. Show an empty house. Staging will not allow you to ask more for a property, but it will change a house into a home. It will help form an emotional attachment with the buyer. It will speed up the time it takes to get offers and thus reduce your holding costs. Flipping foreclosures or other discounted homes should be viewed as a business. Any successful business owner knows that good planning and sticking to established systems is the key to profitability. By following these few rules, you can greatly increase your profits and make money flipping houses while lowering your risk.